Catastrophic floods and storms like recent Sandy may grab all the headlines, but more common water damage issues and repairs end up costing homeowners, renters, and landlords billions of dollars every year. Water damage restoration and repair companies in Upstate New York get more phone calls come fall. Our own company, A-Plus Cleaning and Restoration also gets more calls from the homeowners and businesses alike. Are you concerned about mold remediation and removal on your property? 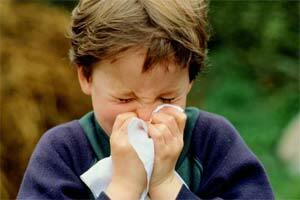 Dangerous mold count in your home, at your child’s school or at work can trigger headaches, sinus or respiratory pain. High mold count has been a cause of a number school-openings delays across the country. The reason is simple – the floods and heavy rains in a lot of areas caused mold build up. But mold grows even in the areas aren’t affected by the floods especially when buildings are closed up for the summer and there is a very poor air ventilation. High levels of mold in the buildings could cause numerous health concerns – allergies, headaches, asthma. What is even worse, some types of mold are toxic. The best way to find whether the building’s air is safe is to have the tests performed by certified mold remediation professionals. Please call 585-325-3000 so that we could assist you in determining the mold remediation needs and potential treatments. Read more about the mold remediation services we offer. Below is a list of recent news articles related to Mold and health concerns it might pose. Water Damage Repairs – How Much Do They Cost and What Affects the Pricing? We often get phone calls from prospective home buyers who are looking to get a ballpark estimate of water damage repairs or restoration. In this brief article we will give you an idea of what to consider while asking for estimates. The list of variables is a long one. Water Damage Repairs – How Much Does It Cost? Without looking at the property it is next to impossible to give even the ball park figure. The size of the damaged area. The size is usually measured in square feet and the larger the area the more expensive the repairs, all other things being equal. Basic materials costs. Depending on whether you are restoring hardwood floors or repairing a water-damaged ceiling, the cost will vary. Rochester, NY isn’t the flood capital of the world, but floods do happen in Rochester as well. And often the flood happens when you least expect it, and when you are least prepared to handle it. Water damage in Rochester, NY area? A flood on your property? In addition to property loss, water damage can cause a lot of health issues if not addressed timely. What can you do to make sure you minimize the water damage if your property is flooded? Depending on whom you ask you might get different answers. Below is a list of five things to do that we find helpful. Fire and Smoke Damage after building fires brings a unique set of challenges – both emotional and practical. In this article we are not going to touch on the emotional pain caused by any fire. Will focus on some practical aspects of dealing with fire and smoke damage. When a building is ravaged by fire different types of materials burn at the same time – plastics, paint, paper, wood, fibers and so on. When they burn they generate a thick smoke with a very heavy odor. The smoke is frequently filled with oily soot and it spreads around the building. When firefighters extinguish the fire they use water. The water dissolves a lot of the soot and carries it along with other byproducts throughout the building penetrating porous materials such as drywall, brick, plaster, stone, tile and wood. That amplifies the fire and smoke damage. A Plus responded quickly and effectively to completely restore the situation back to normal. The tenants were kept up to date and felt comfortable dealing with you and your technicians. I have been a property insurance adjuster for over ten years and have worked with several restoration companies in Western, New York & the Finger Lakes Region. I have found Scott, Mandy and their staff to be very professional and diligent in their work product. On several occasions, their quick response has saved thousands of dollars for the insurance company , and more importantly, leaving a very satisfied customer. I find their 24 Hour Emergency Service to be an important facet of their business, and crucial to the mitigation process. A Plus Cleaning & Restoration is a Rochester, NY locally owned and family operated company that provides residential and commercial clients fire, water and flood clean-up and damage restoration, contents recovery, sandblasting, dry ice blasting, mold remediation and emergency board-up services. Started in 1997, the Winseman family has operated A+ Cleaning under one premise: deliver quality service with a care and compassion like no other company. That motto has helped A+ Cleaning be a leader in the Rochester, New York area.